The first-rate quality of precision die engineering from JIT Global Enterprises is the direct result of experience, versatility and control. 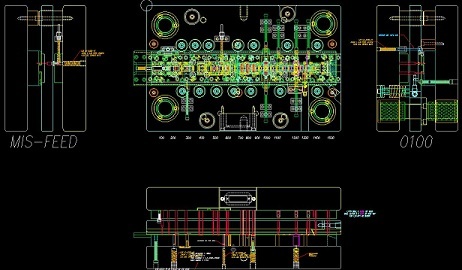 Our capabilities in production stamping, prototype development and precision tooling component manufacturing provides us with the expertise needed to offer a wide range of die design options to overcome the most complex challenges. Our die design team, comprised of tool designers, toolmakers, stamping technicians, engineers, and quality staff work closely together to understand your needs and develop tooling solutions focused on providing consistent quality, the longest possible tool life, and maximum production uptime. We specialize in progressive stamping dies with tungsten carbide or ceramic cutting components. Modified Bridge Stripper - The premise of a bridge stripper with added accuracy and versatility for option changes and the blanking effect of a full spring loaded stripper. 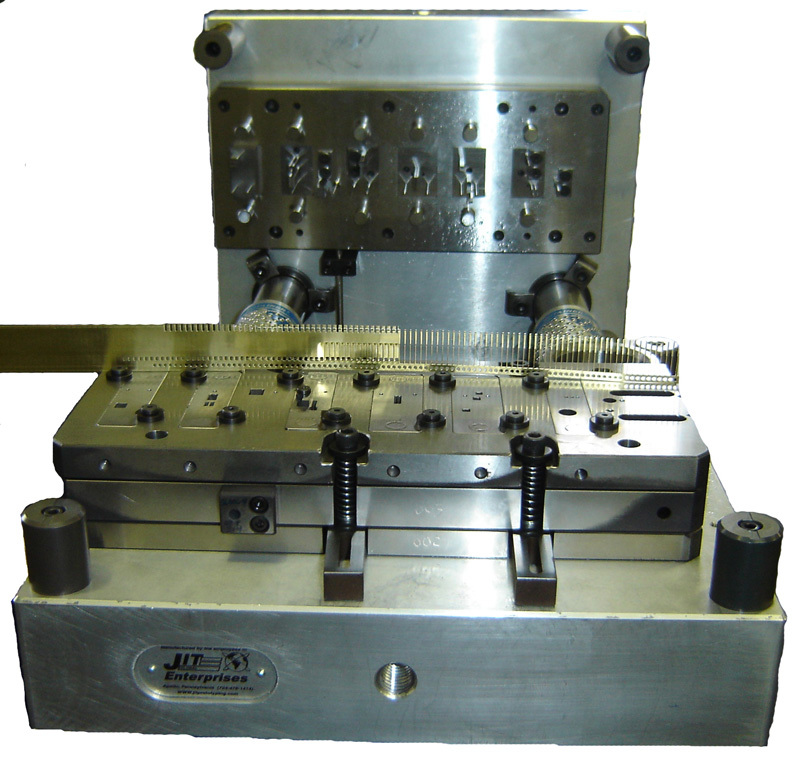 Full Spring Loaded Stripper or Three-Plate Design - best suited for flat stampings or stampings with simple forming. 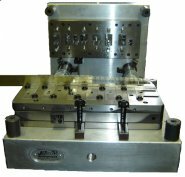 Modular or Front-Load Design - Facilitates option changes and areas requiring frequent maintenance by offering the ability to remove specific tooling without removing the entire die from the press. Experience, Versatility and Internal Control - This is the philosophy behind our success in offering customers high quality, cost effective progressive dies in as little as four weeks.